We're Giving You More To Smile About. You can relax and feel comfortable receiving dental care from our team. Sedation administered by our trained dentists will keep you comfortable and pain-free. From porcelain veneers to crowns and implants, we can help make your smile beautiful again! Dr. Fields' cosmetic dentistry services give you more to smile about. Make your teeth strong and healthy again! We offer a wide range of restorative dentistry services to bring your smile back to life. Check out all the smiles! Real patients... real results! 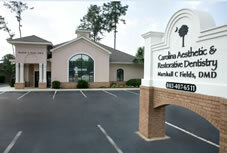 Welcome to Carolina Aesthetic & Restorative Dentistry! Dr. Marshall C Fields and his team would like to take this opportunity to welcome you to Carolina Aesthetic & Restorative Dentistry. Carolina Aesthetic & Restorative Dentistry is here to serve Columbia SC, and all the surrounding areas including Lake Murray, Irmo, and Springdale South Carolina. We strive to bring out the beauty in each patients smile. To set up an appointment with our dentists, fill out our contact form or give us a call! We’d love to hear more about how our cosmetic dentistry services can restore your smile. To us, dentistry is more than just teeth cleanings. We see it as a place where art and science come together to create the eminence of beauty with articulate function, giving you so much to smile about. Dr. Marshall C Fields is an accomplished Cosmetic Dentist Columbia SC with expertise in general and cosmetic dentistry. He excels in the art of cosmetic dentistry by using cutting edge technology along with superior restorative procedures, that allows his patients to regain optimal oral health and functionality. Our team views comprehensive dentistry as a life long commitment to your health, appearance and self image. We value what matters most which is our patients smiles. We want you to feel and look amazing getting the best possible care that you can. Dr. Marshall Fields goes above and beyond for each of his patients. You want a Doctor who is going to take the time to properly communicate and establish a relationship with his patients. You will experience a warm and engaging atmosphere from the minute you walk through our doors. Every aspect of our practice is designed to deliver the highest quality of professional care and state of the art dentistry, with a focus on you and your personal needs. If you aren’t already a patient here we would love an opportunity to take care of you, your friends and family! Come experience the difference we make! At Carolina Aesthetic & Restorative Dentistry, we promise that you will love your new and improved beautiful smile. We are here for each and every patient that come through our doors as we deliver top notch and state of the art experience. 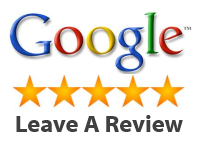 Dr. Fields is passionate about his clients, and helping them to achieve the best smiles. Columbia aesthetic dentist Dr. Marshall C Fields is a native of South Carolina through and through. He completed his undergraduate studies at the University of South Carolina with a Bachelor of Science Degree in biology. Having received his doctorate in dental medicine degree from the Medical University of South Carolina, Dr. Fields has been delivering cosmetic, implant and functional solutions for years and is certified in sedation dentistry. As a family and cosmetic dentist in Irmo SC, Dr. Marshall C Fields believes continuing education for himself and his team is one of the most important gifts he can give to his patients. He and his team are constantly learning advanced procedures and materials. 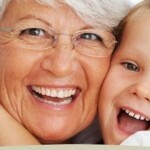 They continue to progress with a will and desire to have outstanding patient care. Dr. Fields attended the Spear Institute for Advanced Dental education, focusing in the latest aesthetic and restorative techniques. His office exemplifies the latest in technology and comfort. He is also a member of the American Dental Association, Columbia Implant Association, Central District Dental Society and the South Carolina Dental Association. Dr. Fields has been in private practice in Columbia since 1990.